Saturday, Sept 15: the promenade includes red coats this year. 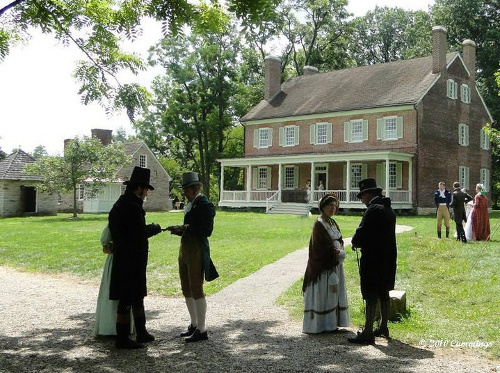 Over 500 people dressed in Regency costume officially open the Festival. 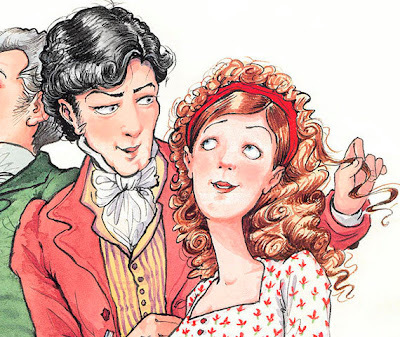 Sunday evening, Sept 16: an Evening with Mr Wickham. 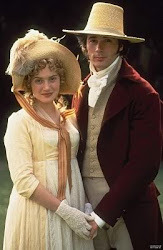 Adrian Lukis, who played the character in 1995s adaptation of Pride & Prejudice. Monday, Sept. 17: a walk to Beechen Cliff. 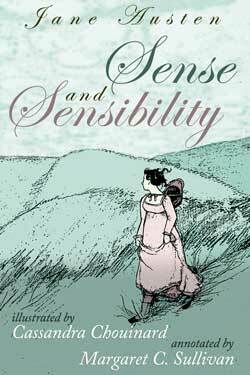 Wednesday, Sept 19: the Tin Roof Productions theatre company performs Sense and Sensibility, the musical. 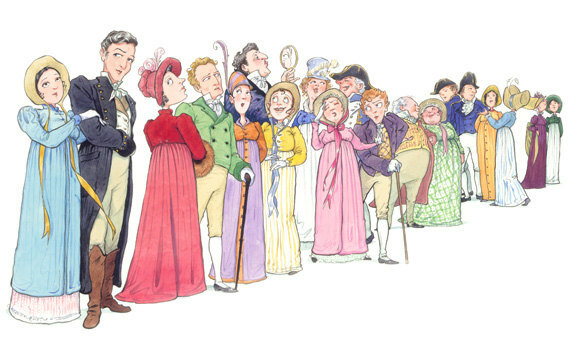 Thursday evening, Sept 20: A Noisy Game of Lottery Tickets at the Jane Austen Centre, (Regency card games). 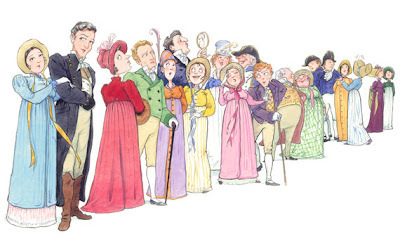 Friday noon, Sept 21: Ladies of a Certain Age, presented by History Wardrobe, which focuses on the older women of Austen's novels in humorous celebration. 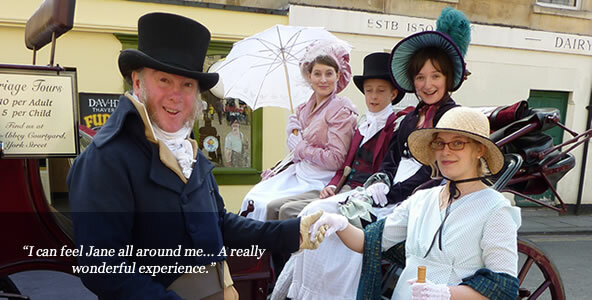 Friday, Sept 21: Jane Austen Festival Regency Costumed Masked Ball held in the Pump Room. Saturday, September 22, Walking tour of Jane Austen's Bath. 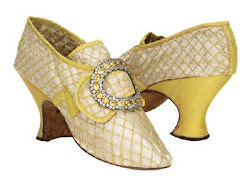 August 16th marks Georgette Heyer's 110th birthday. 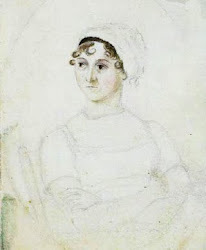 If you are a fan of her historical fiction, drop on over to Jane Austen's World and leave a comment about when you first began reading her books and fell in love with them. 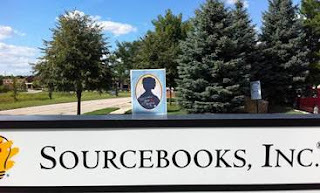 Sourcebooks will send a book to two lucky winners! Contest ends at midnight, August 16th. To be eligible, do NOT leave your comments on this post! Contest closed. Winners are Jan and Ginger! 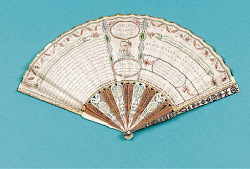 Horrible histories shows how the simple fan was an early form of text messaging that 18th century women used to communicate with others. Funny and LOUD! Only 48 seconds long. Labels: Decorative fans, fan language, Horrible Histories. Huswife - Do You Have One? Last year when I was making a comparative reading between two translations of Sense and Sensibility - Brazilian Portuguese and Portuguese of Portugal. I discovered many words, which I needed to consult in the original English. One of them was huswife. In Brazil, we don't have a unique word to describe huswife, and it is translated approximately as needles case. And for my part, I was all in a fright for fear your sister should ask us for the huswifes she had gave us a day or two before; but however, nothing was said about them, and I took care to keep mine out of the sight. At this point I was very curious to know what these huswifes looked like. In the search for images I found Jennifer Forest's site. 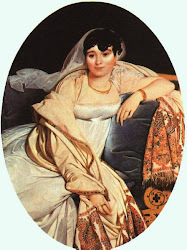 and her huswife. 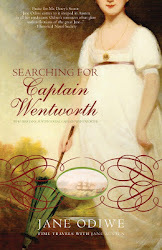 Jennifer is author of Behind Jane Austen's Door and Jane Austen Sewing Box. Then, I remembered my old and dear sewing basket that I have inherited from my aunt Nini, who in turn had inherited it from another lady. This basket must be circa 1930/40. It is a bit spoiled, missing a metal lock and lacking the pink satin cushion in its inner lining, where pins and needles should be stuck. 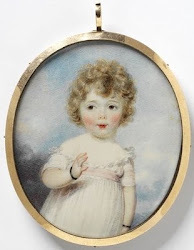 Museum, probably English, used in America, late 18th to early 19th century. Back to the post title: huswife, do you have one? 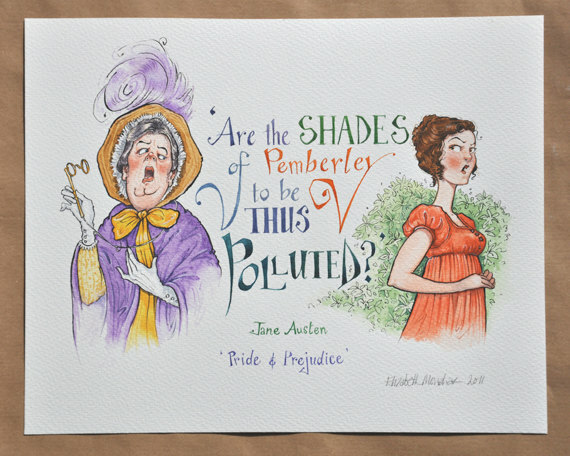 Submitted by Raquel Sallaberry, Jane Austen em Português. 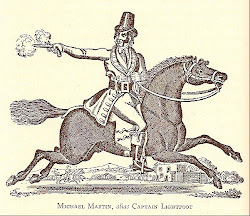 Gentle readers: I have been remiss in adding posts to this blog due to a busy schedule. 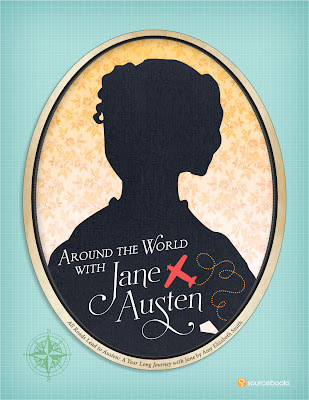 My Jane Austen friend in Brazil, Raquel Sallaberry of Jane Austen em Português, has come to the rescue! She has sent in a picture of her mischievious cat, Mr. Donnie D.
This post is for those of us who abhor Mr. Willoughby. Now we can all feel vindicated! When cornered by the spotlights (well.. a persevering Nikon camera), my Mr. Donnie D bumped into John Willoughby. 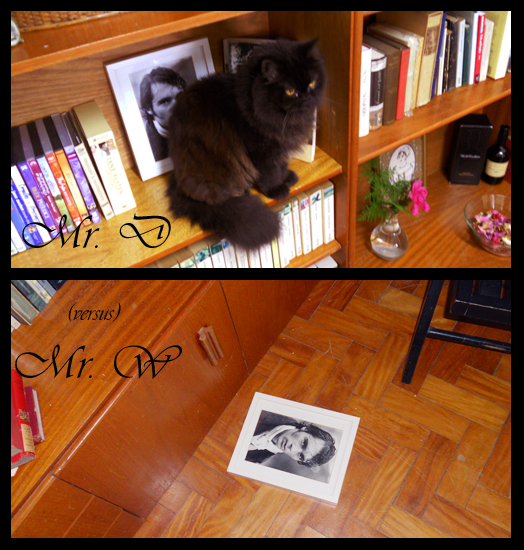 I can swear he meowed, "I could meet him no other way." Should I rename my fine feline Colonel Brandon? Update: Contest is closed. Congratulations, Cinthia! 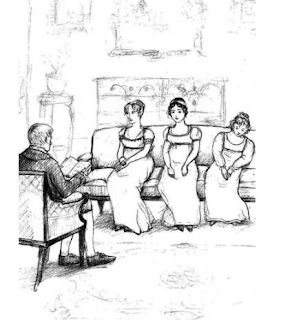 Those of us who belong to Jane Austen book clubs and discuss her books regularly have contemplated deeply about Jane Austen's novels and how they impact our lives - both real and imaginary. We are not so much obsessed with our favorite author's books as intrigued by her characters, the world she recreates with her witty insights and plots, and the insights she provides that give direction to our own lives. 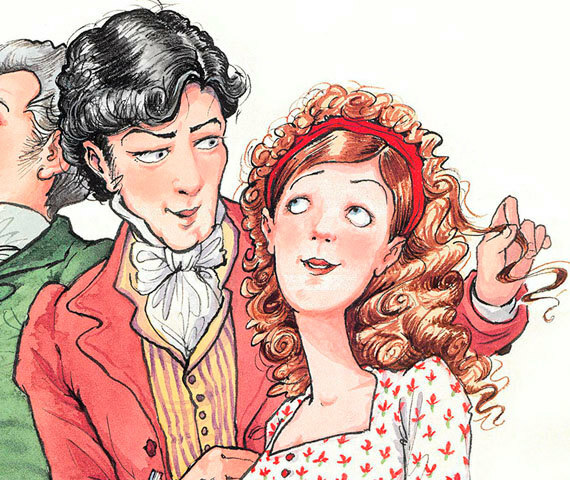 In All Roads Lead to Austen, Amy Elizabeth Smith travels to Latin America to discuss Jane's six major novels with Latino book clubs. 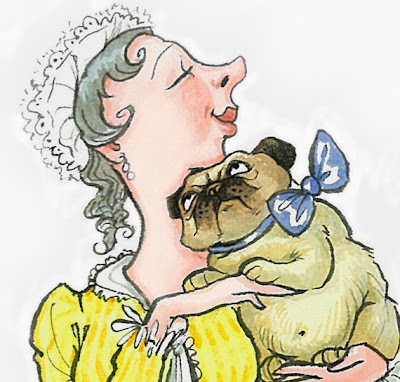 The results are not surprising - Jane, our British Regency spinster - speaks as clearly to other cultures as to ours. 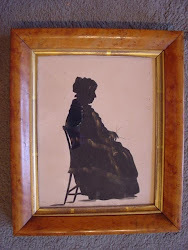 For a chance to win a copy of All Roads Lead to Austen, please leave a comment about an aspect that struck you most about your favorite Austen novel, or a life altering insight. Everyone from all countries around the world is eligible to enter the contest, which ends on midnight, June 11, EST US time. 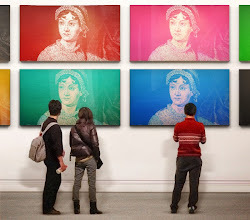 Click here to read my interview with Amy Elizabeth Smith on Jane Austen's World. 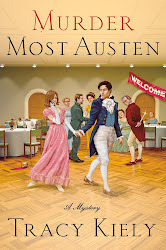 Seven authors of modern works inspired by Jane Austen’s classic novels will read, discuss, and sign their books at a Book Fair sponsored by the Jane Austen Society of North America (JASNA) - DC Metropolitan Region, on June 9. Five of the authors are from DC/MD/VA. 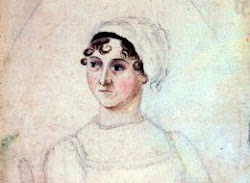 Highlighted works of nonfiction include Jane Austen: A Life Revealed, by award-winning biographer Catherine Reef; The Jane Austen Guide to Life: Thoughtful Lessons for the Modern Woman, by Lori Smith; and The Jane Austen Handbook: A Sensible Yet Elegant Guide to Her World, by Margaret C. Sullivan. 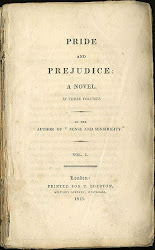 On the fiction side, the authors’ styles and settings are diverse: Ava Farmer’s Second Impressions continues Austen’s plots and uses her language; Amy Corwin’s A Rose Before Dying combines mystery and romance in a Regency setting; Janet Mullany’s Jane Austen: Blood Persuasion takes a paranormal turn, and Diana Peterfreund’s For Darkness Shows the Stars sets an Austen plot in a postapocalyptic future. 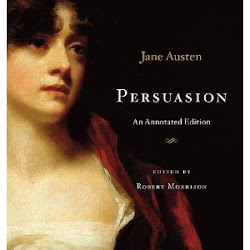 Immediately following the author discussions, the used book sale will open, offering biographies, literary criticism, collectible editions of Austen’s novels, and British history, culture, and travel books, as well as fiction by Austen’s contemporaries and modern authors writing in the Austen spirit. Information is available online at www.jasna-dc.org or by calling (301) 926-3117. 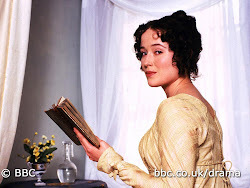 JASNA is dedicated to the appreciation of Jane Austen and her writing. JASNA is a nonprofit organization, with approximately 4,000 members (more than 350 in DC/MD/VA), of all ages and from diverse walks of life. The local chapter sponsors lectures, tours, discussions, and social events throughout the year. The national website is www.jasna.org. In the June memoir, All Roads Lead to Austen the author Amy Elizabeth Smith took Jane Austen’s works along with her as she traveled to foreign countries. 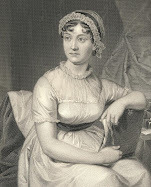 Her goal was to see if the magic of Jane Austen could hold its power across borders, languages and cultures. Amy took Jane to far off countries – and we need your help to take her even further! We are holding a contest called All Around the World with Jane! 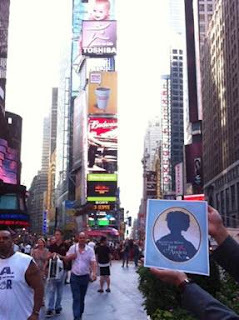 Join us on our Austen love fest by printing out our Jane Austen “flat Stanley.” Take pictures of yourself with Jane in your hometown or on your vacation, and submit it from April 30th to June 30th. or email your submission to landmark@sourcebookspr.com. 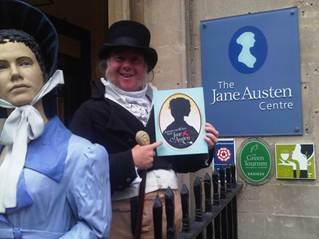 Some examples of where Jane has been already include Times Square, The Jane Austen Centre in Bath, and the Sourcebooks offices! along with the flat Stanley that you can print off (also available on Facebook). 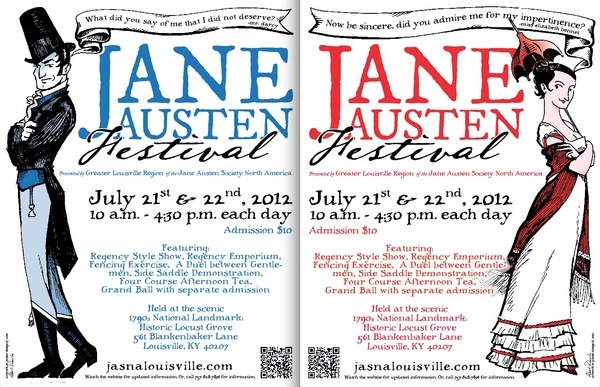 The 5th Annual Jane Austen Festival will be held at Historic Locust Grove in Louisville, KY on July 21 and 22, 2012. Open each day from 10 a.m.-4:30 p.m.
and Grand Ball with separate admission. 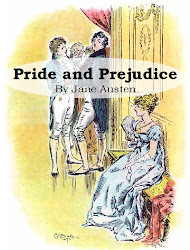 Sponsored by the Jane Austen Society, Greater Louisville Region Sandy Lerner, who writes under the nom de plume of Ava Farmer, follows up Pride & Prejudice with Second Impressions. 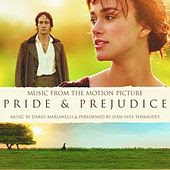 If Jane Austen had lived longer than her all-too-brief one-and-forty years, this might have been the sequel to Pride and Prejudice. The public is invited to hear her speak about the book, sign copies and stay for scones & tea. Please RSVP to Bonny Wise, Regional Coordinator, at wises4@insightbb.com or by calling 502-727-3917. 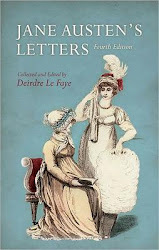 All proceeds go to the support of the Chawton House Library in Hampshire, UK, a non-profit resource for the study of early English women’s writing, to support students and research of women writers, pre-1830, writing in English, world-wide. 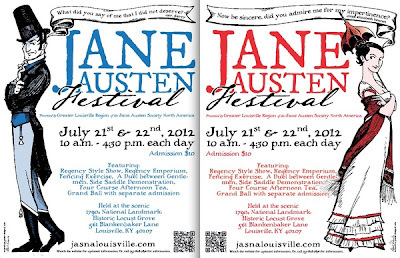 For more information, please visit the Jane Austen Society of North America- Greater Louisville Region's website: jasnalouisville.com. Thank you! Book Contest Closed! Thank you for participating. Winners Chrissie and Tara were chosen randomly with a random number generator and have been contacted. In The Jane Austen Guide to Life: Thoughtful Lessons for the Modern Woman, author Lori Smith examines Jane Austen’s novels, letters, and life for insights that can help guide today’s woman through life’s passages. There is much good material to digest. For my review of this wonderful book, please click here to read it. You can purchase the Guide as a hard cover or ebook. You can also enter a comment for a chance to win one of two free copies. For a chance to win, leave a question you would ask Jane Austen. You may choose any topic. The contest ends on midnight, Tuesday, May 15th. Sadly, the contest is open to those who live in the US or Canada only. Please make sure to leave a way that I can reach you. 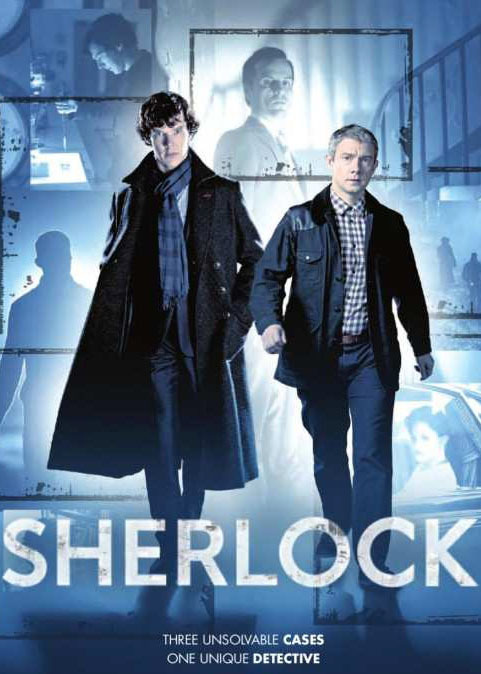 Sherlock, Season Two, Starts this Sunday on PBS Masterpiece Mystery! The witty, engaging, and highly entertaining Sherlock will be gracing the airwaves again. Click here to read my review of A Scandal in Belgravia. 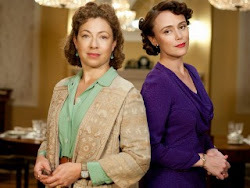 Scheduled to air May 6, 13, and 20th on PBS Masterpiece Mystery, the viewer is guaranteed a whoppingly good whodunnit for 1 1/2 hours on each night. Set in modern London, this Sherlock is as sharp witted as Sir Arthur Conan Doyle's detective. A true heir to the genre. Click here to join the Twitter events on Sundays. Sherlock, the world's foremost consulting detective (Benedict Cumberbatch, War Horse, Tinker Tailor Soldier Spy), and the beleaguered Dr. John Watson (Martin Freeman, The Hobbit, The Office UK) stalk again in three thrilling new episodes. Click here to learn more about Sherlock on PBSs site. May 6, 2012 at 9pm (Check local listings) A Scandal in Belgravia One 90-minute episode; TV-14 Picking up from Season 1's gripping cliffhanger, the whip-smart Irene Adler (Lara Pulver, True Blood) takes on Sherlock in a game he is ill-prepared to fight...love. 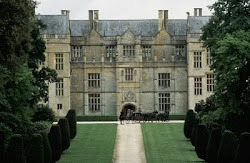 May 13, 2012 at 9pm (Check local listings) The Hounds of Baskerville One 90-minute episode; TV-14 Sherlock and Watson track a gigantic hound to Baskerville, where the military is conducting top-secret experiments. But whether demonic or dubious, something is stalking the moors. May 20, 2012 at 9pm (Check local listings) The Reichenbach Fall One 90-minute episode; TV-14 The crime of the century is just a prelude for the unhinged criminal mastermind, Jim Moriarty (Andrew Scott, Lennon Naked), when he poses the diabolical and inescapable "final problem" to Sherlock. Click here to watch the shows online one day after their initial air date. 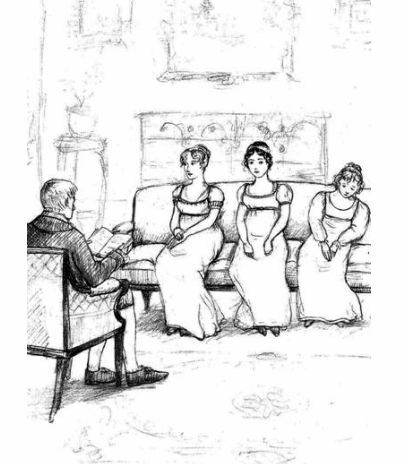 Gentle readers, Raquel Sallaberry from Jane Austen em Português has resurfaced to discuss a very important issue in Brazil. 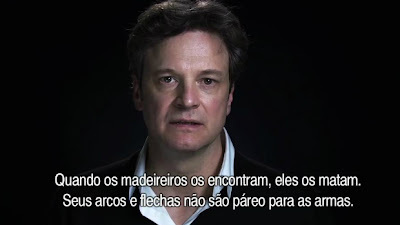 She informs us that Colin Firth (Mr. Darcy) is supporting the Awá-Guajá tribe from Amazonia and asking the Brazilian government to take measures to protect "the tribe most threatened of the world". Click here to see a video of the tribe. 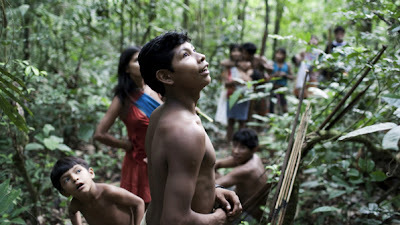 The tribe Awa-Guajá has about 360 survivors - with one hundred of them have ever had contact with the white man. Due to the violent action of illegal loggers and ranchers who invade reserves, Survival believes that the Awas are the tribe most endangered on the planet. Along with the campaign, the NGO has launched a website with information, pictures and videos on the tribe . Colin Andrew Firth, 52, who became known in Britain for playing Mr. Darcy in the BBC adaptation of the classic Pride and Prejudice by Jane Austin in 1995, has always been involved with the campaigns of the NGO. The campaign proposes that the Internet, supporters of the cause the following message to send to the Minister of Justice of Brazil, via email, text or share on Facebook: "The isolated Awa are fleeing for their lives as loggers, ranchers and settlers invade their land. Please use your authority to remove the invaders and keep them off the ground forever. " Click here for the full article, which comes with a translation. Update! : The winners are: Laurel and Angela. Please contact me and send me your addresses. Gentle readers: Two lucky readers have the opportunity to win Abby Grahame's debut novel, Wentworth Hall and a vintage diary, courtesy of Simon & Schuster. The Darlington family of Wentworth Hall, an elite British family, fills their time by caring for their extensive estate, and looking over their shoulders as they struggle to keep up an elaborate charade to hide their scandalous secrets of illicit romances, and bitter betrayals. 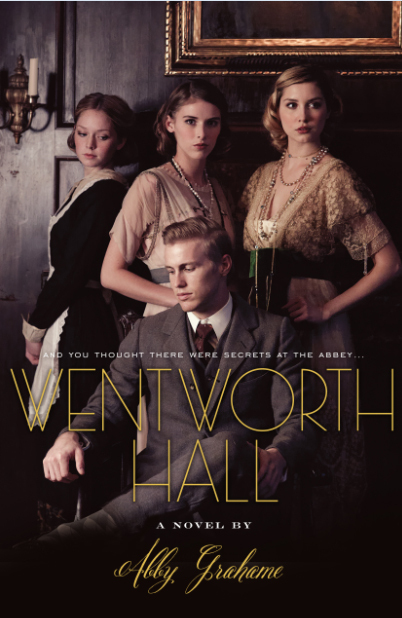 Wentworth Hall is the historical novel by debut author Abby Grahame, which is spot-on perfect for fans of Downton Abbey! Read and excerpt of the book at this link! Two (2) winners will each receive: A vintage diary and copy of Wentworth Hall! Prizing courtesy of Simon & Schuster. To join the contest, all you need to do is let us know what you think of Shirley McClaine joining the cast as Cora's mother for Season Three of Downton Abbey. The contest, which closes Friday May 27, is open to US residents only. Please make sure I have a way to reach the winners, who will be chosen by random number generator! 11:59 PM Friday, April 27th, EST, contest is closed. The Boston Public Library’s collection includes rare fashion plates that represent 125 years of high fashion. 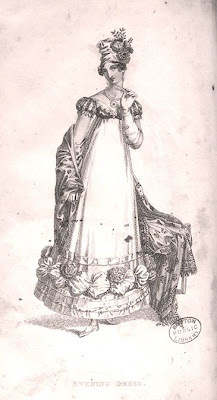 An online exhibition begins in 1795 with dresses inspired by classical Greece and Rome. It ends in 1920 with fashions based on modern art principles of cubism and abstraction. "1818: Transition. 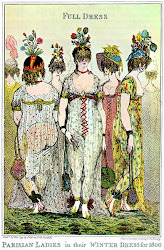 Women’s dress began departing from the classical ideal towards a "Romantic" mode. The waistline was still high, although sleeves puffed out a bit. 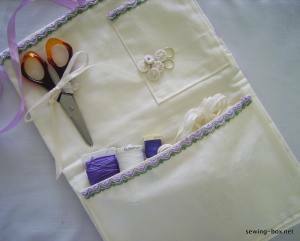 Skirts became less tubular and more wedge-shaped, with a flare at the hem. The hemline was emphasized with lavish trimmings: flowers, ribbons, frills, and other decorations. Vertical curls characterized the hairstyle". Margaret Sullivan, editrix of Austenblog and author of the Henry Tilney and Catherine Moreland mystery, There Must Be Murder, annotated Sense and Sensibility last year in honor of the novel's Bicentenary anniversary.The Jane Austen Centre's website features the book this month, which is illustrated by Cassandra Chouinard. Click here to read about it and ordering information!